"I fear not the man who has practiced ten thousand kicks once. But I fear the man who has practiced one kick ten thousand times." I'm trying to design a new heraldic emblem and would like to make sure my current design is an acceptable design. Do you want this to pass SCA Heraldry of rules or Order rules? I'm not involved in the SCA so I have no interest in that organizations oversight. I do however want these arms to pass muster when it comes to the traditional convention of heraldry. 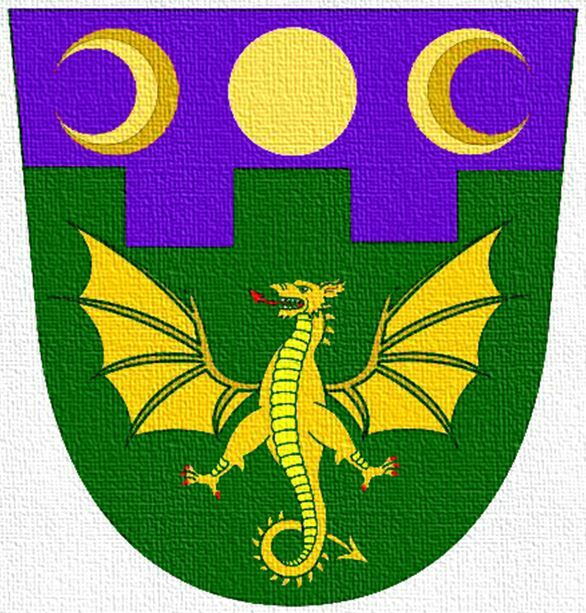 I have shared these arms with some heraldry aficionados and they say that they would be acceptable and could be registered the way they are. The main advice I have been given is to consider an alteration in the tone of the purpure. What are your specific thoughts? So definitely some more black lines around the individual items like the 3 sun's from the backfield, the color of the crescent from the other color, the wyvern from the field, and the fields from each other to help everything pop. When you're done painting you can do that with a sharpie and it'll do wonders. The purpure could definitely be darker in tone. The imagery fills it too much and could be a bit smaller in relation to the shield and the field. What kind of shield will this be on? Because that will change how it needs to be done. Does it pass the 30ft rule? Follow this link and you can get some ideas of how others have crafted theirs creatively including mine (note: uses some clip art) West Kingdom Roll of Arms. Personally I prefer less busy devices. 2 good examples of busy devices that I spent a lifetime seeing from across a field are my mom's & my stepdad's and I can tell you that quite a lot of both devices drop out from even 30ft away on the shields they were put on. My mom's which is put on a bunny round. My stepdads which is on a sidegrip round. I think I'll likely paint it onto a kite shield but just to hang on the wall. I doubt I'll ever be on any type of battlefield with it. Once I get my harness it will be later period so I won't require a shield. I'll work on the black lines. I was told that my purpure might actually be too dark and that it should be more pinkish. 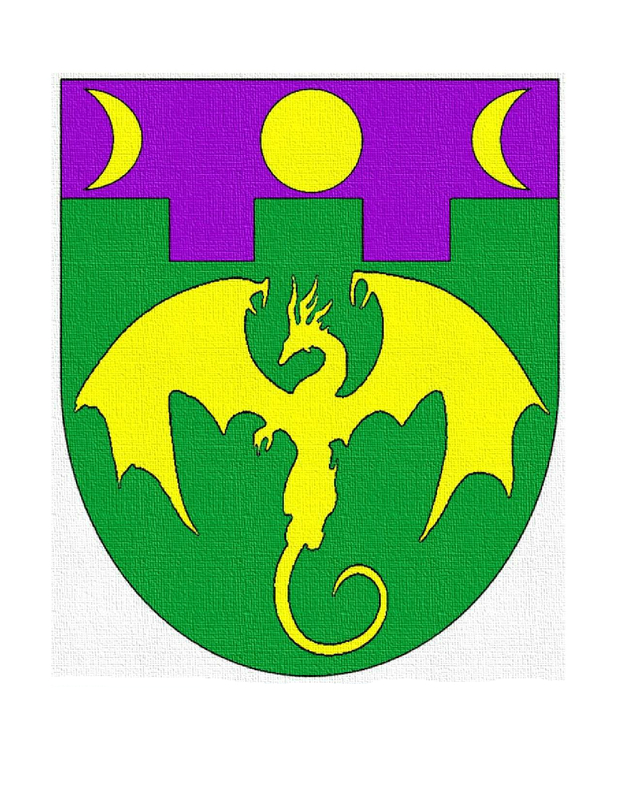 Anyways, I want to stick to traditional rules of English heraldry but this will simply be personal arms that likely won't be put to any practical use other than being a patch on the sleeve of my fencing jacket. I did make the embattled line a metal which I'll add as an attachment. I think it looks much better. The yellow border really helps. between the top & bottom fields. Technically it is a Wyvern which was pretty common as a heraldic device. Looks good.What program did you use to make it? Nothing sophisticated - just used a combination of MS Word and Pixlr. Page created in 0.432 seconds with 24 queries.